Baumgartner’s work focuses on why some issues and not others reach the front pages of the newspapers and the desks of national political leaders. He also works on the roles of interest groups and lobbyists in national policymaking. His work centers on the efforts of people in and around government to frame complicated issues to their own advantage. This has led him to general studies of the policy process as well as to detailed studies of such policy issues as nuclear power, capital punishment, and poverty. While most of his work as focused on the United States, he also has significant experience in France and several other western countries. One of his books was about framing the death penalty, and that work led him to become involved in various studies focusing on the statistical patterns of use of the death penalty in North Carolina and nationally. This, in turn, has led him also to be involved in some related analyses of racial bias in criminal justice outcomes more generally. "Driving While Black, What’s In The Data?," Frank R. Baumgartner, Interview with Frank Stasio, North Carolina Public Radio, August 9, 2018. "What Data on 20 Million Traffic Stops Can Tell Us About ‘Driving While Black’," Frank R. Baumgartner (with Derek Andrew Epp), Interview with John Sides, The Washington Post, July 17, 2018. "Why Traffic Stops Don't Stop Crime," Frank R. Baumgartner, Interview with Isidoro Rodriguez, The Crime Report, July 17, 2018. Frank R. Baumgartner's research on police stops discussed in Tanvi Misra, "Is It Time to Reconsider Traffic Stops?," CityLab, June 6, 2018. Frank R. Baumgartner quoted in Maurice Chammah, "When the Innocent Go to Prison, How Many Guilty Go Free?" The Marshall Project, March 21, 2018. "A Few Counties are Responsible for the Vast Majority of Executions. This Explains Why," Frank R. Baumgartner, Washington Post, February 1, 2018. Frank R. Baumgartner quoted in Holly Honig, "State-Sanctioned Discrimination Threatens Democracy" The Michigan Daily, January 29, 2018. "Arkansas Plans to Execute 7 Men in 11 Days. They're Likely to Botch One," Frank R. Baumgartner (with Kaneesha Johnson), Washington Post, April 14, 2017. "Arkansas Plans to Execute 7 Men in 11 Days. They’re Likely to Botch One.," Frank R. Baumgartner (with Kaneesha Johnson), The Washington Post, April 14, 2017. Frank R. Baumgartner quoted on black voter turnout in Kristin Donnelly, "In North Carolina, President Obama Could Be Key to Hillary Clinton Victory" NBC News, October 12, 2016. Frank R. Baumgartner's research on the death penalty discussed in Fritz Esker, "Study Urges Review of State’s Death Penalty System," Louisiana Weekly, May 2, 2016. Frank R. Baumgartner quoted on race disparities in capital punishment in Blake Hoarty, "Man Freed from Mississippi Death Row: ‘Racism is Still Around’" Daily Tar Heel, February 22, 2016. Frank R. Baumgartner quoted on racial and gender disparities in Ohio executions in Alan Johnson, "Study Finds Racial, Gender Bias in Ohio Executions" The Columbus Dispatch, January 28, 2016. Frank R. Baumgartner quoted on the inequities in Florida’s death penalty in Mitch Perry, "New Study Finds Vast Racial, Geographic Disparities in Florida Executions" Florida Politics, January 14, 2016. Frank R. Baumgartner's research on documents the failure of the left to keep pace with the right in building local organizations discussed in Thomas B. Edsall, "The Republican Party’s 50-State Solution," New York Times, January 13, 2016. Frank R. Baumgartner's research on higher rates of executions discussed in "Places with More Executions Should in Theory Have More Murders. They Don't.," Vox, December 9, 2015. "Americans are Turning against the Death Penalty. Are Politicians Far Behind?," Frank R. Baumgartner (with Emily Williams and Kaneesha Johnson), The Washington Post, December 7, 2015. "Americans are Turning against the Death Penalty. Are Politicians Far behind?," Frank R. Baumgartner (with Kaneesha Johnson and Emily Williams), Washington Post, December 7, 2015. Guest to discuss executions and death sentences on WWL Eyewitness News: Killers of Black Men Less Likely to Get the Death Penalty, Frank R. Baumgartner, September 22, 2015. Guest to discuss the CHIP program on KHQA, Frank R. Baumgartner, August 4, 2015. Frank R. Baumgartner quoted on the effect of the victim’s race on the likelihood of a death sentence in Maurice Chammah, "The Anomaly of Dylann Roof" The Marshall Project, July 30, 2015. Frank R. Baumgartner's research on racial disparities of executions in Missouri discussed in Rebecca Rivas, "White Victim is Key Indicator for Receiving Death Penalty in Missouri," St. Louis American, July 23, 2015. Frank R. Baumgartner quoted on the disparate impact of traffic stops and searches in Carrboro in Jean Bolduc, "Proposed Police Panel Meets Resistance at Carrboro Forum" Chapel Hill News & Observer, July 1, 2015. Frank R. Baumgartner's research on collective problem solving when complexity exceeds the cognition of any one person discussed in Lee Drutman, "Low Information Lawmakers," Washington Monthly, June 2015. Frank R. Baumgartner's research on racial disparity in traffic "stop and searches" discussed in Jaeah Lee, "Driving While Black Has Actually Gotten More Dangerous in the Last 15 Years," Mother Jones, April 15, 2015. Frank R. Baumgartner's research on traffic stop search rates by gender, race, and age discussed in Michael Gordon, "Racial Disparity in Charlotte Traffic Stops Grows, Study Finds," Charlotte Observer, April 11, 2015. Guest to discuss NC death penalty laws on North Carolina Public Radio, Frank R. Baumgartner, April 10, 2015. Frank R. Baumgartner quoted on the bind that states find themselves in when considering execution methods in Grant Masini, "Opponents of Utah's Firing Squad Law Say the State Has Stepped Back in Time" Daily Tar Heel, March 24, 2015. "Most Death Penalty Sentences are Overturned. Here’s Why That Matters.," Frank R. Baumgartner (with Anna W. Dietrich), The Washington Post, March 17, 2015. Frank R. Baumgartner quoted on the implications of the DOJ suing Ferguson's police department in Lauren Hong, "U.S. Justice Department Eyes Ferguson Police Department" Daily Tar Heel, February 24, 2015. Frank R. Baumgartner's research on racial disparity in the driver’s stopped and searched for traffic violations discussed in Lauren Kent, "Bias behind the Badge," Daily Tar Heel, February 5, 2015. Frank R. Baumgartner's research on racial disparity in police searches discussed in Richard A. Oppel, Jr., "Activists Wield Search Data to Challenge and Change Police Policy," New York Times, November 20, 2014. Guest to discuss racial disparities in police stop-and-search practices on North Carolina Public Radio's "The State of Things", Frank R. Baumgartner, May 9, 2014. 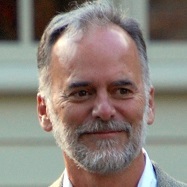 Frank R. Baumgartner's research on the illegal targeting, detainment, and arrest of Latino citizens without probable cause discussed in Michael Biesecker, "Terry S. Johnson, North Carolina Sheriff, and Deputies Accused of Discrimination and Targeting of Latinos for Deportation," Huffington Post, September 19, 2012. Frank R. Baumgartner's research on racial profiling discussed in The Associated Press, "Study: Hispanics, African Americans Searched More Often in NC," WCNC.com, September 18, 2012. Frank R. Baumgartner's research on NC traffic stops discussed in Amanda Lamb, "ACLU Urges NC Racial Profiling Victims to Come Forward," WRAL.com, September 18, 2012. Guest to discuss his research on racial profiling and traffic stops on UNC Public Radio’s “The State of Things”, Frank R. Baumgartner, August 23, 2012. "Governor Must Veto Racial Justice Act Repeal," Frank R. Baumgartner, Winston Salem Journal, December 8, 2011. "Detecting Bias Essential in Death Penalty Cases," Frank R. Baumgartner, The Burlington Times-News, November 26, 2011. "On the Decline: Murders and Death Sentences," Frank R. Baumgartner, Raleigh News and Observer, October 31, 2010. "Death Penalty Moratorium is Not Enough," Frank R. Baumgartner, Chapel Hill News, October 10, 2010. "Time to Commute N.C.’s Death Sentences," Frank R. Baumgartner, Carrboro Citizen, September 20, 2010. "N.C. Should Commute Death Sentences," Frank R. Baumgartner, Herald-Sun, September 16, 2010. "The Death of the Death Penalty at Hand?," Frank R. Baumgartner, Asheville Citizen-Times, September 16, 2010. "In N.C., Only 20 Percent of Condemned are Executed," Frank R. Baumgartner, Charlotte Observer, March 5, 2010. "Death Penalty’s Vanishing Point?," Frank R. Baumgartner, Raleigh News and Observer, January 24, 2010. Frank R. Baumgartner's research on racial profile in North Carolina discussed in Ian A. Mance, "Racial Disparities in Traffic Stops, 2000 to 2011," Trial Briefs, June 2012. Deadly Symbolism: Race and Capital Punishment in North Carolina (with Seth Kotch and Isaac Unah) (manuscript, forthcoming). Demonstrates that the death penalty has always been symbolic (of roughly 600 homicides that occur each year in North Carolina, only a dozen or so might be singled out for capital prosecution) and highly racialized (just one person in North Carolina has been executed for the crime of killing a single black male, but black males are the group at greatest risk of homicide victimization). As North Carolina debates the racialized nature of the death penalty, our book seeks to lay out the historical and statistical trends that are inescapable and which suggest we should eliminate a penalty that has never been more than a symbol. Suspect Citizens: What 20 Million Traffic Stops Tell Us about Policing and Race (with Derek Andrew Epp and Kelsey Shoub) (Cambridge University Press, 2018). Offers the most comprehensive look to date at the most common form of police-citizen interactions, the routine traffic stop. Deadly Justice: A Statistical Portrait of the Death Penalty (with Frank Baumgartner, Marty Davidson, Arvind Krishnamurthy, and and Colin Wilson) (Oxford University Press, 2017). "Targeting Young Men of Color for Search and Arrest during Traffic Stops: Evidence from North Carolina, 2002-2013" (with Derek A. Epp, Kelsey Shoub, and Bayard Love). Politics, Groups, and Identities. (2016): 2-25. Shows dramatic disparities in the rates at which black drivers, particularly young males, are searched and arrested as compared to similarly situated whites, women, or older drivers. Presents findings that are robust to a variety of statistical specifications and consistent with findings in other jurisdictions. "Framing the Poor: Media Coverage and U.S. Poverty Policy, 1960-2008" (with Max Rose). Policy Studies Journal 41, no. 1 (2013): 22-53. Tracks U.S. antipoverty policy since 1960, first developing a statistical measure of how generous the government is toward the poor. Our measure shows increased generosity during the “War on Poverty” in the 1960s and declines since the mid-1970s. We then demonstrate that this arc of generosity, then increasing stinginess, can be almost entirely explained by the shifting tone of media coverage of the issue of poverty. "North Carolina Traffic Stop Statistics Analysis," (with Derek Epp), North Carolina Advocates for Justice, January 31, 2012. Uses official statistics provided by the North Carolina Department of Justice and found possible racial bias associated with traffic stops in the state from January 1, 2000 through June 2011. The report was submitted to the Governor, Attorney General, and leaders of both parties in both chambers of the NC legislature in April 2012; in June 2012, it was leaked to the press. Lobbying and Policy Change: Who Wins, Who Loses, and Why (with Jeffrey M. Berry, Marie Hojnacki, Beth L. Leech, and David C. Kimball) (University of Chicago Press, 2009). Employs a random sample of the objects of public policy lobbying in Washington to show who wins, who loses, and why. Surprisingly, much of the power of money and access is already reflected in the status quo policy, and deviations from this – the objects of lobbying – are not related to material resources. Winner of the Leon D. Epstein Outstanding Book Award, American Political Science Association Section on Political Organizations and Parties, 2010. The Decline of the Death Penalty and the Discovery of Innocence (with Suzanna L. De Boef and Amber E. Boydstun) (Cambridge University Press, 2008). Shows the power of framing by tracing media discussion of the death penalty from 1960 to present, documenting the surprising surge of attention to a problem that has always been associated with criminal justice: errors and mistakes. The innocence movement has brought attention to a long-standing element of capital punishment – it is a human-designed institution run by humans – and has led to a dramatic and historic decline in the use of capital punishment since the mid-1990s. Winner of the Gladys M. Kammerer Award for the best publication in the field of U.S. national policy, American Political Science Association, 2008. Agendas and Instability in American Politics (with Bryan D. Jones) (University of Chicago Press, 1993). Demonstrates that public policies in America are often characterized by long periods of stability, but that this apparent equilibrium can be disrupted by dramatic reversals of public fortune. With examples ranging from nuclear power, pesticides, and smoking policies, we show that powerful industrial interests that at times seem to dominate the political system and to benefit from privileged access to government decision-makers can suddenly lose that power when the public image associated with their industry deteriorates. Winner of the Aaron Wildavsky Award for a work of lasting impact on the field of public policy, American Political Science Association Organized Section on Public Policy, 2001.